This latest rumor came out of a Chinese publication called Economic Daily News in early May that said Pegatron Technology was tapped to manufacture a Blu-ray integrated Xbox 360 which would ship in time for Christmas. There are obviously technological challenges here considering all Xbox games are on DVD, and a game could not be released on Blu-ray without alienating the installed base at nearly 19-million world wide. The response from Microsoft came quickly and resolutely. 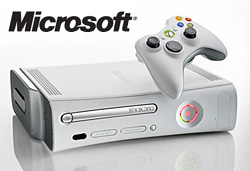 As we have stated, we have no plans to introduce a Blu-ray drive for Xbox 360. Games are what drive consumers to purchase game consoles, and we remain focused on providing the largest library of blockbuster games available. While this is a pretty straight forward response, not deflecting the question at all, it does bring up a few questions. If they won’t sell a Blu-ray drive because they’re focused on games, what was the HD DVD add-on? What’s with Xbox Live video downloads? These are just the surface of the issue, clearly, for Microsoft has been leveraging the Xbox 360 to gain entrance into homes as a Media Center Extender for quite some time. They’ve made it clear they intend the 360 to be a central part of the home theater experience. So this brings a new level of market competition, and a new debate about optical media versus downloads. If Microsoft is fully committed to digital downloads what need of Blu-ray have they? Which brings us back to the rumors that Microsoft was only supporting HD DVD to kill off both next-gen formats. I’ll leave that up to you to decide.